New York’s attempt to think about stupid stuff for a weekend came to an abrupt halt early on Super Bowl Sunday when word was leaked that Philip Seymour Hoffman was found dead of a heroin overdose. Hoffman was a highly celebrated actor and I had the good fortune to see him on stage several times. His most well-known role was his Oscar-winning performance as Truman Capote in Capote. My personal favorite Hoffman film performances were his turns as the millionaire Lebowski’s assistant in the Coen brothers’ The Big Lebowski and as the furiously masturbating crank phone caller in Todd Solondz’s Happiness. 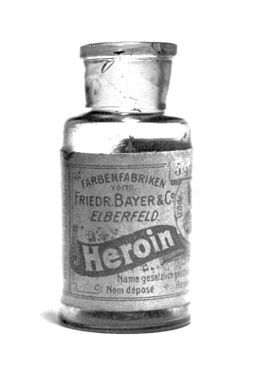 Heroin is one of the absolutely dumbest drugs you can take. It is horrifically addictive and even people who have been rid of it for years find themselves drawn back to it, as was apparently the case with Hoffman. I can think of several good people I knew, people I thought were too smart for it, people who were streetwise and experienced and with a lot of talent to offer and good years ahead of them, who have overdosed on smack. It’s one of the most senseless and undignified deaths imaginable. It’s an admission to the world that you were weak, that you let a small envelope of powder determine your fate. It is immensely frustrating to see people with great talent and success piss away their lives with drugs or alcohol. But they have done so endlessly. The litany of great artistic drunks and drug addicts outnumbers the roster of brilliant teetotalers immeasurably. One can argue that for big movie stars like Hoffman, arrogance and success drive them to drugs. I disagree. Hoffman likely began his life with drugs when he was little known. Most of the artists who die from drugs and alcohol are not famous people but nameless nobodies without much to their name. Artists are drawn to substance abuse because they are constantly seeking transcendence. That’s why they are artists; they want to exist outside the humdrum of everyday life. Every creative person, myself included, has a star-gazed idea of themselves that rarely matches reality. Creative people almost always want to be something other than what they are. And for an artist, the worst thing in the world is to look in the mirror and realize that you’re a normal person like everyone else. Drink and drugs can keep that fun-house mirror in front of your face a lot longer than your brain can by itself. That’s the deadly trap of getting drunk or high. It’s a lot easier to sit in a pretty café and drink yourself into oblivion like Hemingway than it is to sit over a keyboard and write a novel like Hemingway. As one of the world’s legion of frustrated writers, I have spent most of my adult life on the drunk list but became a teetotaler in recent years. I can say with confidence that you can excel at being creative while not indulging in substance abuse. I like to think that if I can quit drinking, anyone can quit anything (and without becoming a religious Alcoholics Anonymous zombie either, but that’s a topic for another time). Even Charles Bukowski, who made his reputation on being a habitual drunk, was able to quit drinking later in life without it damaging his writing output. A biographer quoted him as saying he hardly missed it. Some people are determined to be junkies or drunks. There’s no excuse for it. Trying to make sense of it will break your heart. It doesn’t degrade the art they leave behind, but the loss of their talent makes their passing much more contemptible. Great post. It saddens me that even a great artist like PSH suffered from addiction – I was blown away when I found out. Sure, he wasn’t the model of perfect health, but he stood out in even the dullest of films. My personal favorite? The Master. A hopelessly inquisitive man, indeed.